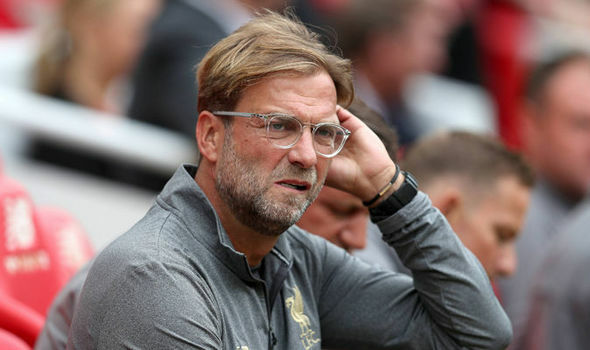 Liverpool manager Juergen Klopp believes his squad is deep enough to tackle a daunting upcoming schedule as they look to maintain their winning start to the season. When Liverpool, who visited Leicester City in the English Premier League on Saturday return from the international break, they would face a run of seven matches over 23 days. These include: Champions League games against Paris St Germain and Napoli and league encounters against Chelsea and Manchester City. Chelsea would also visit Anfield in the League Cup during this period. When asked to assess his squad depth, Klopp, who spent around 160 million Pounds in the recent transfer window, said “today, its good, but it needs to stay good. “We’ve started now three times in a row with the same starting lineup. That will not happen too often from now on in the future. Liverpool invested heavily in the transfer window, spending the money they received from the sale of Philippe Coutinho in January to sign goalkeeper Alisson from AS Roma. As well as midfielders Naby Keita from RB Leipzig and Fabinho from AS Monaco and forward Xherdan Shaqiri from Stoke City. Liverpool have scored seven goals and kept three clean sheets in a spotless start to the league campaign, and Klopp is hopeful of another spirited display when they visit Leicester. “We need a good result tomorrow and in all the other games, and for that we need all the players,” he said. Klopp criticised Simon Mignolet for going public over the club’s decision to prevent the goalkeeper from going out on loan. Mignolet told Belgian media that it was “bizarre” that fellow goalkeeper Loris Karius was allowed to join Besiktas on a loan deal, while he was asked to stay as backup to new signing Alisson. “In general, discussing your individual problems in public doesn’t make too much sense,” Klopp said. “Its always better to speak to each other, I’m a big believer in that.